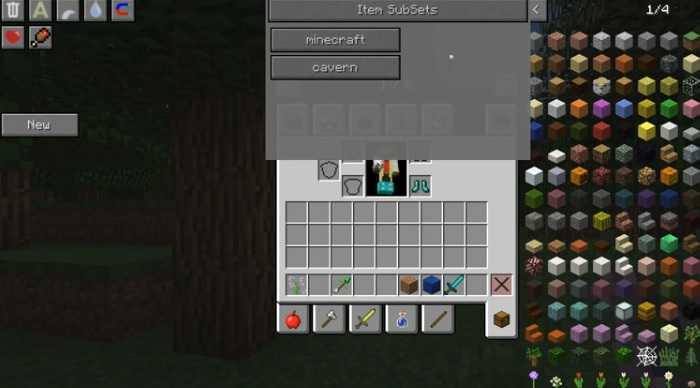 Forever Enough Items Mod 1.11.2/ 1.11/1.10.2 Minecraft Download. Gone are the days when fans have to wait for some modification and their latest version to release. The new era has begun and people are living in it. 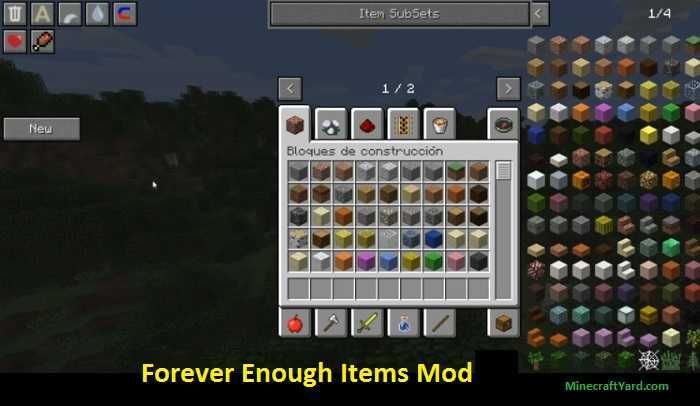 That’s the story of this modification because it completely replaces the most renowned tool Not Enough Items mods all together. It features some extra ordinary new changes which will mesmerize the community as well. 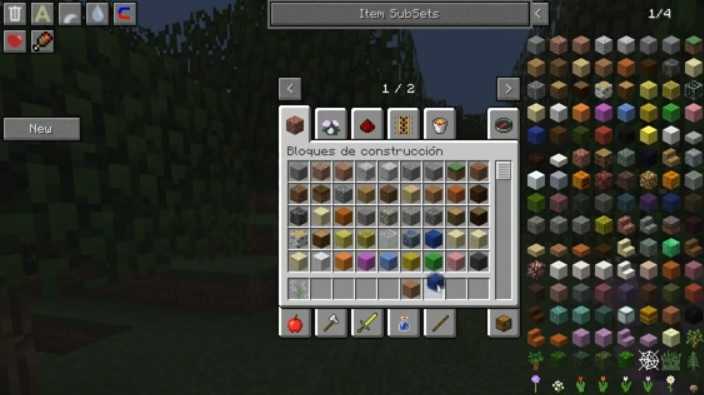 This modification is bringing new utilities on the top left cover which has inventory save and load feature. Along with that it has item subsets. Interestingly you can have profiles as much as you want because there is no limit. It will configure from the background color and negate the whole element. Have fun using this tool and share your thoughts as well. To get the Forever Enough Items up and running, download Just Enough Items Mod for your game version. It is a mandatory step as this mod uses Forge API files in order to function. Download Forever Enough Items.jar from the link above, keep it for a while. Do not try to extract the mod files. 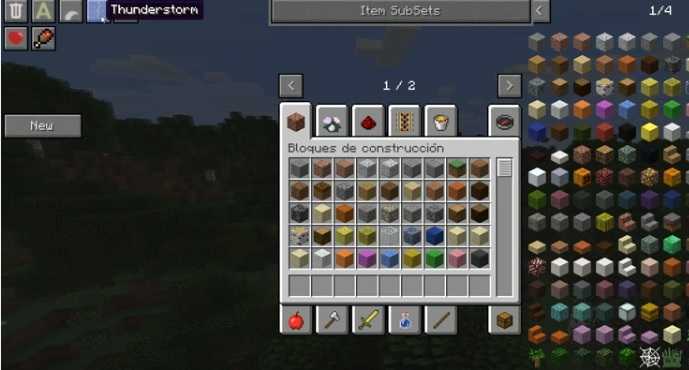 Press WindowsKey+R, type %appdata%/.minecraft and press Enter. Now access mods folder and copy/move the mod file that you download earlier. Now Start Minecraft Launcher, click Edit Profile and select Forge profile. Start the game, you will see a “mods” menu which will show you a list of added mods. Create a new world and enjoy your modded Minecraft.